Well, since Tommy is gone on vacation and far away from anything resembling an internet connection, I guess that leaves me in charge and there are going to be some changes around here! Starting right now we are going to feature Castle MOCS and Castle MOCS only. I'm thinking we should re-brand the site, CastleNerd, and slap a kettle hat on nerdly. OK, not really, but it was a good thought. 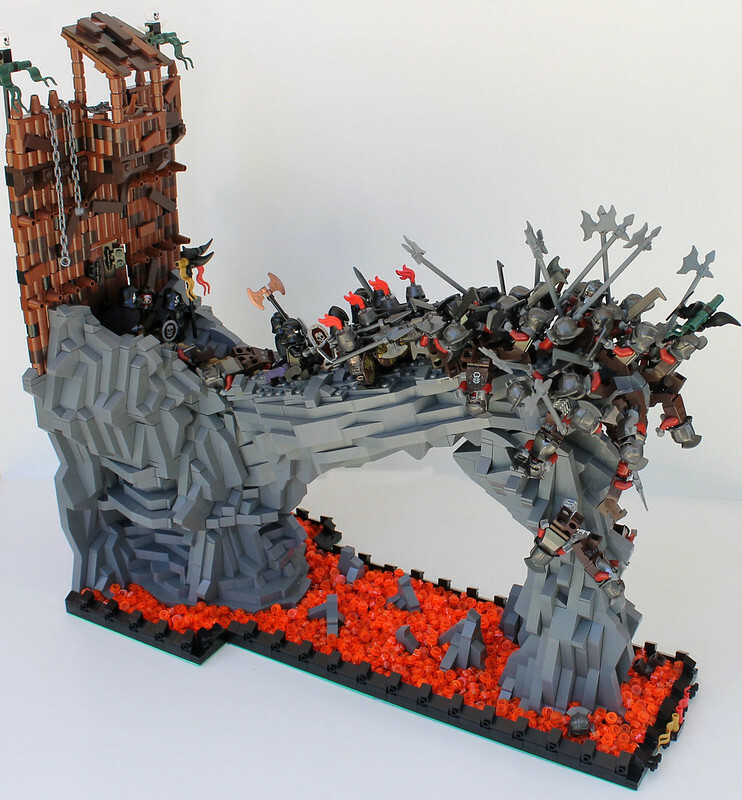 Anyway, on to Mr. Patrick Massey's latest MOC, THE BATTLE AT HELL'S GATE! Dun dun dun. All joking aside this is a pretty sweet creation that Patrick has put together. I am a huge fan of the stellar rock work and the exceptional minifigure posing. Also, and take note fellow builders, I really think the evil under-dark of the fantasy castle genre is heavily under represented and would like to see lots more of this. Make sure to click through the entire series of pictures in this build so you can see all of the little up close posing details.